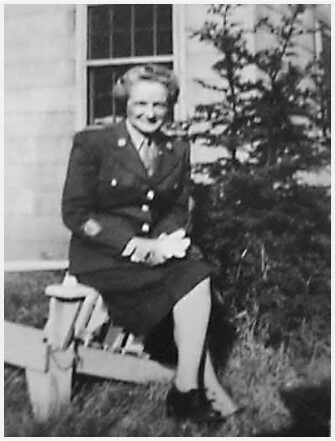 Aunt Marian completed her basic training at Fort Oglethorpe. Did her feet protest all the marching? You know what strikes me? How simple it all is. Today, it would take 138 pages of absolutely impenetrable “bureaucratese” to say the same thing. And it wouldn’t sound nearly as appealing as this. Interesting thought. . . Your’re right, It wonderfully summarizes lots of information into a few easy to read paragraphs. My Aunt, mother’s youngest sister, joined the WAVES in1942 or 43. She shared many similar memories with me. She went in as a Lt. As she already had a college degree. She was invited to attend the Women’s Memorial when it opened in Wa DC a few years ago. So I am really enjoying these posts. Thank you. It’s wonderful to hear that you are enjoying this blog. It’s awesome that your aunt was invited to the Women’s Memorial opening. I’m hoping to visit it sometime. LOL–What a wonderful sign. I love it. I could use a course in mess management. maybe. . . Of course, I got this out of a recruiting brochure so they had to make everything sound pretty good. It sounds rigorous. 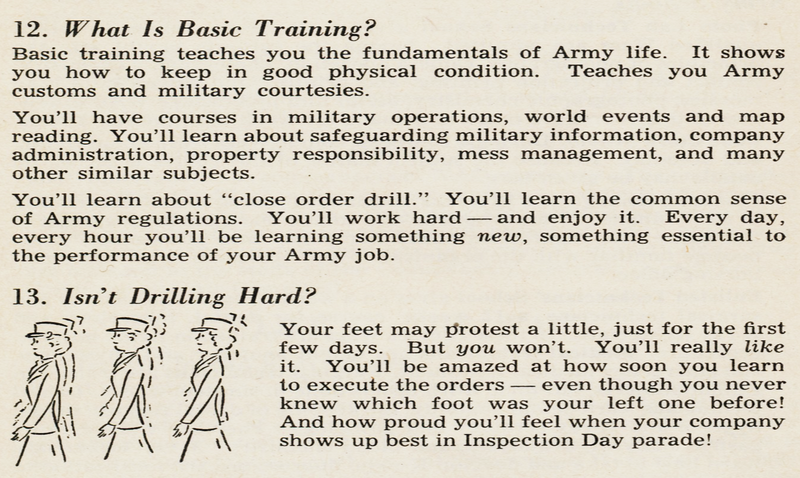 I wonder if many recruits wanted to go home soon after they arrived.